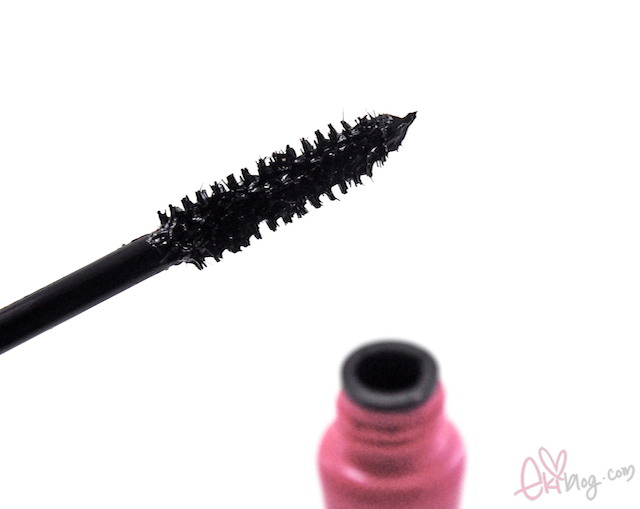 Here is Dolly Wink Long Mascara review! There are 2 types of Dolly Wink mascara, this one is LONG and another on is Volume. I prefer lengthening mascara over volumizing mascaras cause they are less likely to give off clumpy finish and my lashes are short~ if you read my past review I love fiberwig mascara and that is the only mascara I have been using since 2001! 10 years lol! I always try to use other mascaras in between to see if I find better mascara but I always end up going back to using fiberwig but this mascara is so similar in the finish as fiberwig also the formula seems to be alike as well! As with fiberwig it takes a little patience to apply and build this mascara on your lashes but so worth doing for the nice finish! 3. 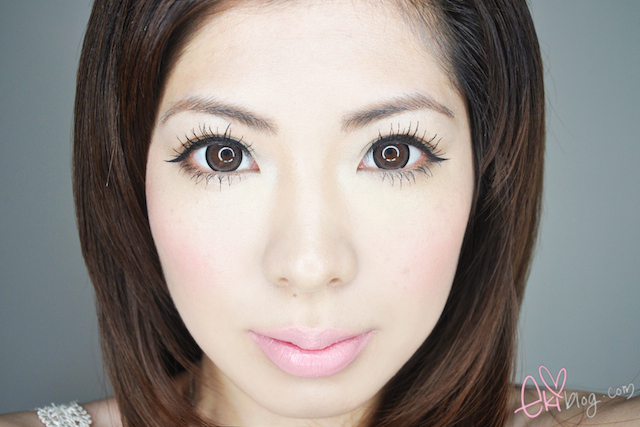 Strong against smudging from sweat or moisture, no panda eyes! Your eyelashes always look super nice! First I've seen with chocolate brown too! Thanks for the review!! ps: Hey, everyone, I am hosting a giveaway on my blog! Come join, it's international and I'm giving away 25 goodies PLUS a surprise! wow it really make your lashes look super long! I have this mascara too but i find it really sticky and if you blink before it dries you get it everywhere! Plus I don't really have the patience to keep layering it >.< so much easier just to wear fakies haha! I'm more and more and more tempted to buy all Koji Dolly Wink series if you are reviewing any after this!haha. I would love to try this mascara! It really makes your lashes stand out and long. 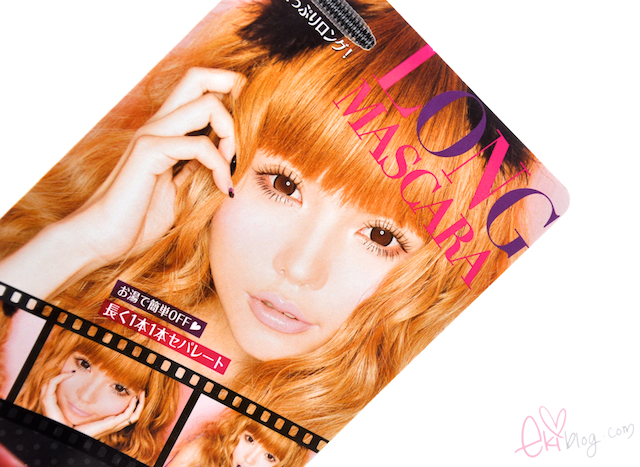 I have this too~~I use to use fiberwig and then I stopped and when I bought this mascara I thought it was really similar too! I'm really not sure which one is better though >_< since I really want the one that lengthens more. I love this review! Thank you so much for posting it, I think I really was going to go for the volume... but now I think I am getting the lengthening one!! Thank you for the amazing review, Eki! That mascara looks really good! I've been thinking about trying Dollywink products and they look really promising! Wow, your lashes are so long!! They look like falsies!! I didn't know about that tip for using lengthening mascaras. Thanks for sharing! I'm gonna try it next time! OoOoO i love your eyes, it looks really good. i think i am going to try this out. my eyelashes never turn out good looking. thanks. must try! thanks for the review! wow!!! I'm mesmerize by your look! I srsly wished I have thick bottom lashes to coat my mascara with! Look at you, being all dolled up! Love it! YAAY a proper review I can refer people to xDD! I feel the same about this mascara, it's got lots of pros but does seem to take a little extra bit of time to apply. Like the fiber isn't as sticky or or shorter fibers like you said so building length requires lots of applying. But I think I'll buy more when I run out. I LOVE it for bottom lashes. I am really jealous of your long long eyelashes!!!! I want this. Thank you for such quality photos!!! I want to try ! and my email is beeswifay@gmail.com ;D ! Thank you Ekimura ! i ABSOLUTELY LOVE how ur lashes look but i have a question... how do you make your bottom lashes look like that? like curl down & stay down?? Thanks for the great review, your lashes look brilliant! Would you be able to tell what the ingredients list is?